road, just before the junction and just past entrance to Scaggs Lane. left.] 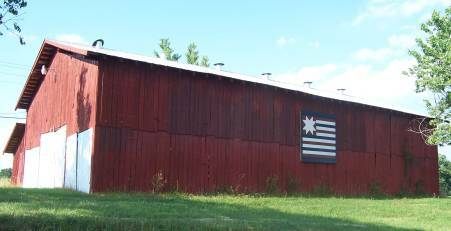 The barn is near the Fleming County line. built around 1950 by Nelson Hyatt. It was used to house tobacco. friends’ “Log Cabin” quilt block.